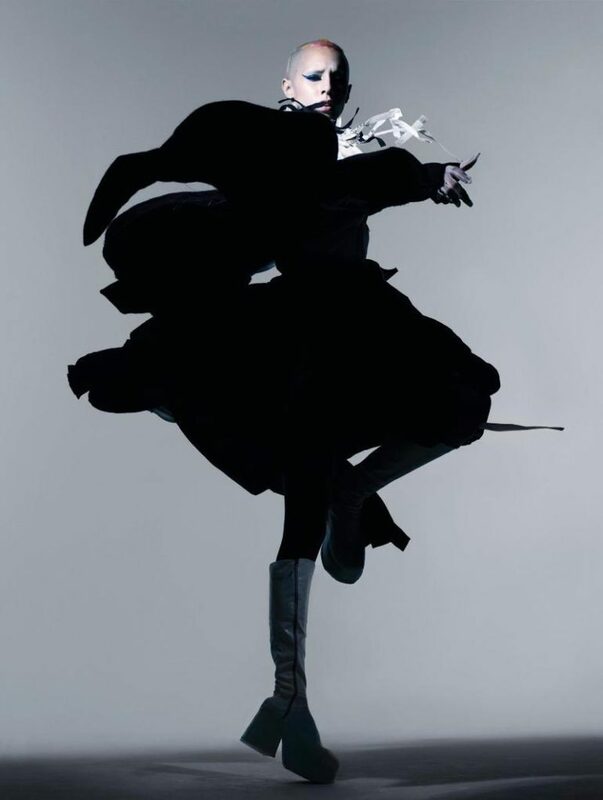 Photographer: Nick Knight. Model(s): Jazzelle. Source: The Fashionable Lampoon. Stylist: Charlotte Roberts. Makeup: Lisa Eldridge. Hair: Martin Cullen. Charlotte Roberts brings a fusion of high fashion magic. As each piece captures a sense of intention, simultaneously flowing with form and fluidity. Unique designs create a dynamic process, as bursts of light flood the scene. It’s not a given that these materials would play well together, but here, we find these opposing forces working in utter harmony. Sheer pink blows up like a silken bubble, while dark wool teases us with temptation. A thick, black overcoat would be the last item we would expect to see in this setting. Billowing through the fiery aire… brandishing forth a phenomenal faire… fabrics fly on high… flowing free like clouds in the sky. The mastery of makeup begins, as Lisa Eldridge creates a palate of perfection. Enlightening the skin without shifting the shade, the tonal change seems to come from within. Jazzelle stands with a naked face, while her brown eyes burrow below her shaved brow bone. Shades of Sapphire surrounding the lids, while diamond erupts in dust over the brilliant blue. A single color is enough to inspire flight with eye wings that fly out the eyes and up the sides. Pink silk rises forth to meet her skin making the tonal change appear to come from within. Martin Cullen celebrates the scintillation of shaved hair, creating a rainbow effect that rides over the fuzzy-front part of her head. A nylon masque covers her face, as she pulls it away, as if fighting the force. Eldridge does what she does best by bringing the inside/out. 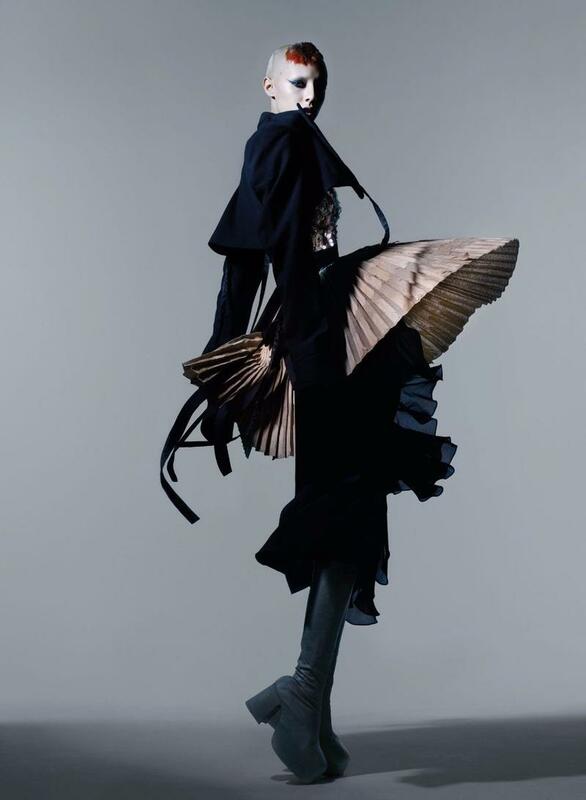 The one and only, Mr. Nick Knight, does it again with his unmistakable eye for enticement. The fluid nature of fabrics is the focus. When we see the material catch the aire in such a way that it transforms the very essence of existence. It is only then that we witness the True Beauty of Being, and only then that the Art of Anomaly begins. 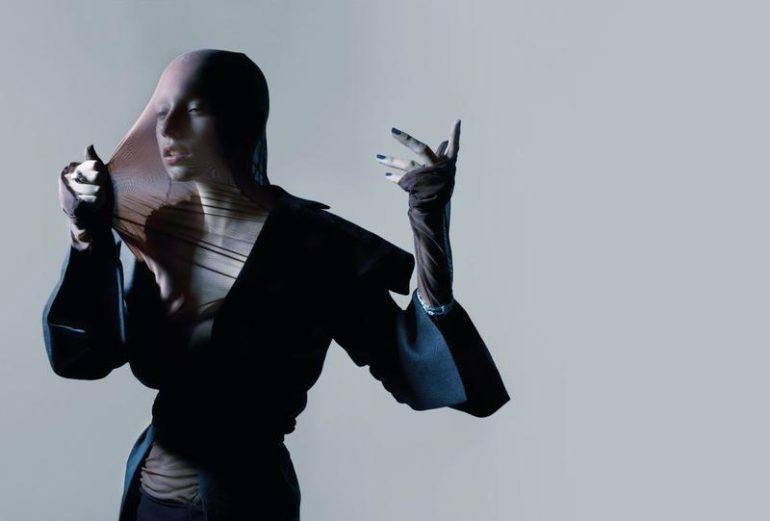 Knight elevates our notion of what is intoxicating with visuals that will make your mind melt. So, what may seem more tame in softness and approach, is at it’s very nature an avant-garde beast. A unique being… a splendor of sensation… so is the bravado of this beauty… so is the sisterhood of self, that is Jazzelle.